White Gold – a light, pink toned metallic champagne, for light and fair completions. 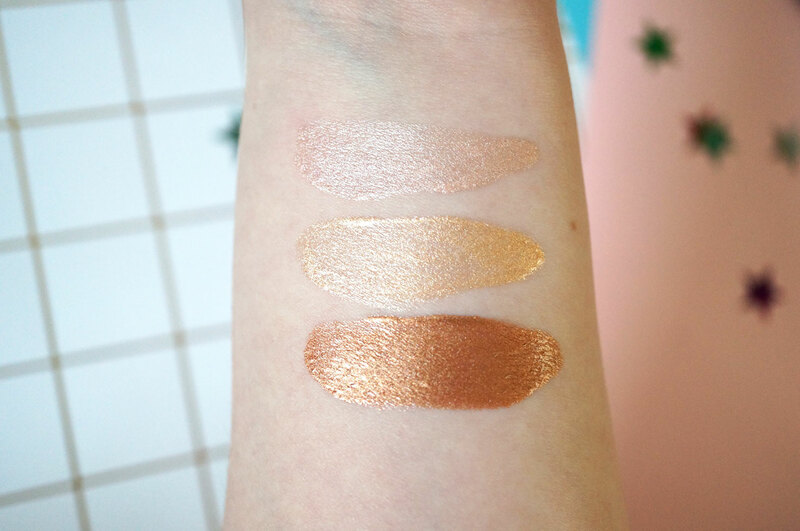 Rose Gold – a medium, champagne gold, for both light and medium complexions. Deep Gold – a mid metallic bronze, suitable for darker complexions. 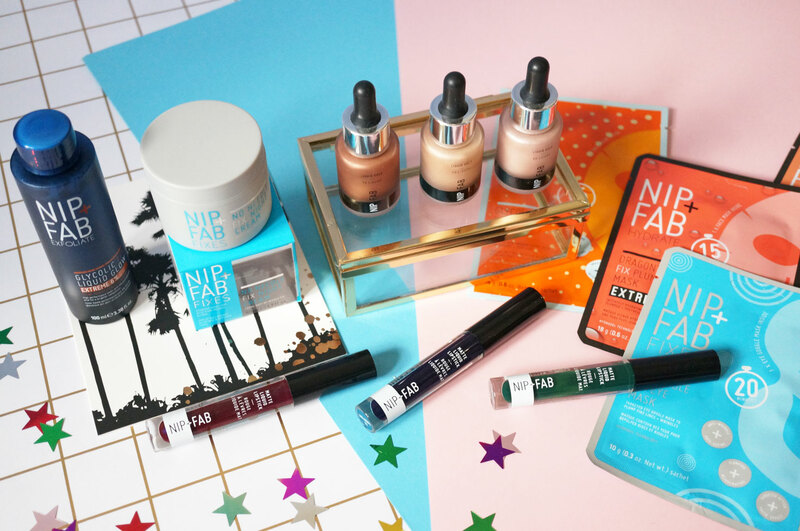 Next, Nip + Fab have also just added three new shades of Matte Liquid Lipsticks (£7.95) to their collection. 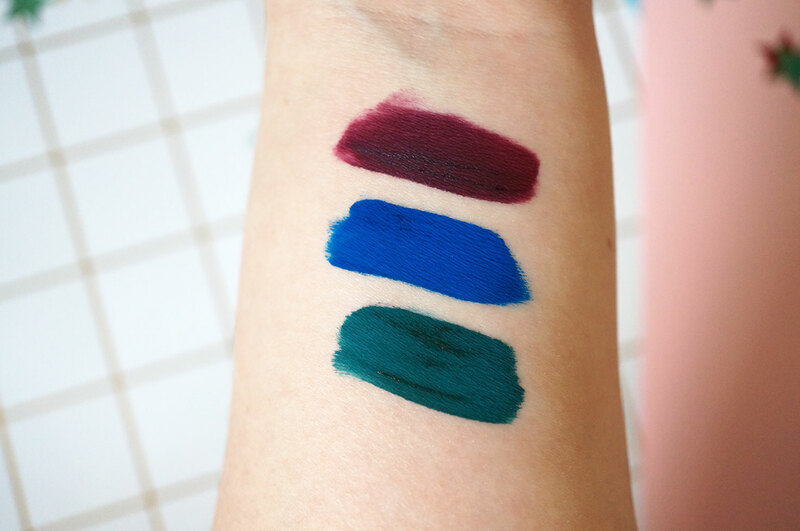 The new After Hours shades are dark and intense, and interestingly include a blue and a green, which I love! The shades in the tubes look slightly darker than they actually dry down to. I was expecting the blue to be a very deep, almost black midnight blue shade, but it’s actually a beautiful intense royal blue, and definitely my favourite of the three. They dry down pretty quickly to a true matte finish and are really good value for money, but I should mention they do stain, so just bear that in mind especially if you’re interested in the blue or green shades. Black Grape – a deep mulberry. Blueberry Sorbet – an intense royal blue. Cool Mint – a deep emerald green. On to skincare now, I have the new Glycolic Fix Liquid Glow (£19.95) – which instantly made me think of Pixi’s Glow Tonic. 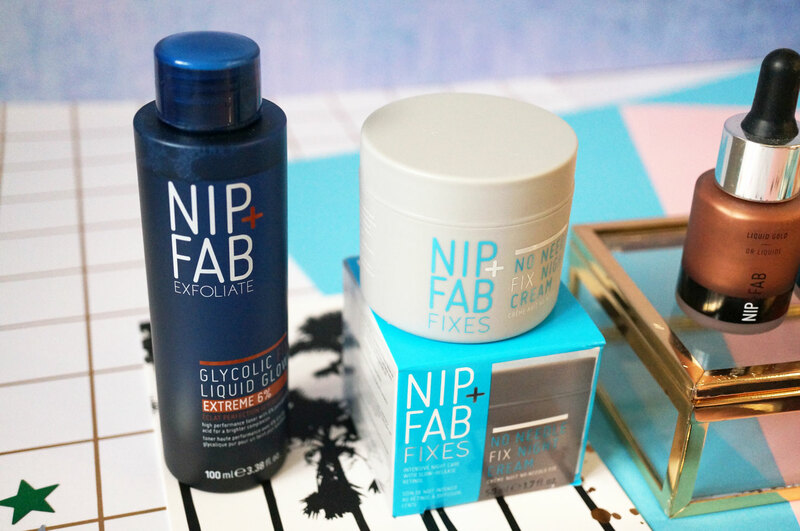 The Glycolic Fix Liquid Glow contains a blend of exfoliating acids to deeply cleanse the skin and help unclog pores, for a more refined skin surface. The difference between this product and Pixi’s Glow Tonic is that Nip + Fab’s Glycolic Fix Liquid Glow has 6% Glycolic Acid, compared to Pixi’s 5%, and Nip + Fab have also included Salicylic Acid to help unclog pores and help with exfoliation, and Allantoin to soothe and protect the skin. If you’re looking for a liquid exfoliator stronger than Pixi’s Glow Tonic this is definitely worth checking out, but if you have super sensitive skin, I’d probably give this one a miss. 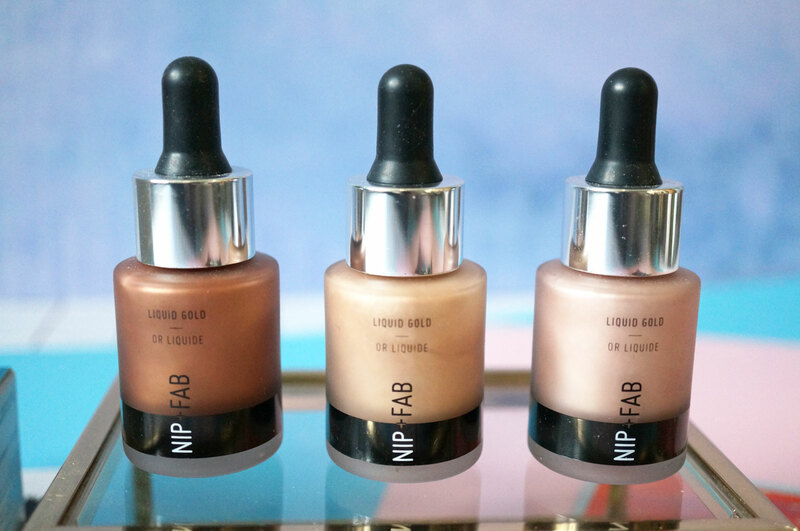 Nip + Fab’s product is also more expensive, so definitely bear that in mind. And I also have the No Needle Fix Night Cream (£19.95) – this is an intensive night cream with slow-release retinol, which works while you sleep to help reduce the visible signs of ageing. It has a creamy texture which is enriched with moisturising oils to provides hydration, for a radiant and revitalized complexion. It promises to leave skin feeling supple and nourished, and visibly rejuvenated. 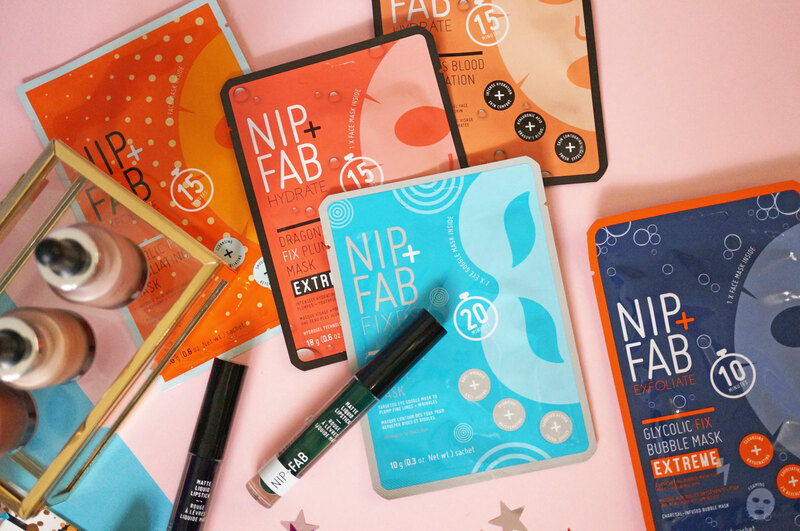 Nip + Fab also now offer a selection of Individual Masks. I won’t go into the full details for each of them, but they cover most skincare requirements when it comes to masks, including exfoliation, plumping and hydration – so take your pick! I have’t tried these yet but I’m hoping for good results! So what do you think? 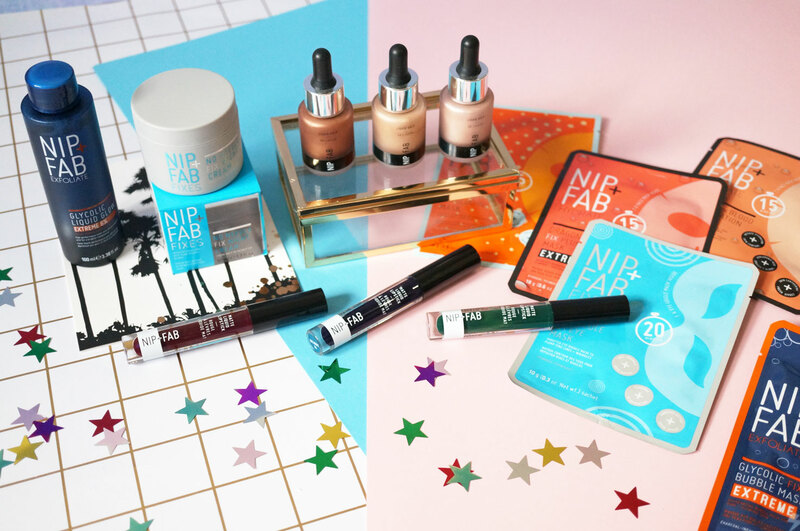 Overall I’m really impressed with Nip + Fab’s latest products, and I can’t wait to see what they come up with next!